Paul L. Sirois joined the Regional Hospice team as a volunteer member of the board of directors in 2007, ultimately assuming the role of Chairman in 2013. Embracing the unquestionable philosophy of hospice care, Paul renewed his commitment to Regional by becoming an employee in January of 2014, a year prior to the opening of the Center for Comfort Care and Healing. Prior to joining Regional Hospice, Paul provided financial counseling and active management of a wide array of financial interests to over 250 families and business owners through his independent financial planning firm in Newtown, Connecticut. Paul also served as a Vice President with Union Savings Bank’s Wealth Management Department in Danbury, Connecticut. Giving back to the greater Danbury, Connecticut community has been a keystone both personally and professionally for Paul. 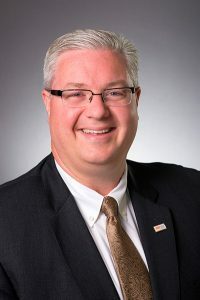 Over the past fifteen years, Paul has been privileged to serve on many local nonprofit boards in addition to Regional Hospice’s including; Ives Concert Park Board of Directors, Danbury Hospital Foundation Associate Board of Directors, Cyrenius H. Booth Library Board of Trustees, and Newtown Scholarship Association Board of Directors. Paul earned his bachelor’s degree from Syracuse University’s Whitman School of Management.